Here at HapaMama, we’re celebrating by hosting a Chinese New Year blog hop. 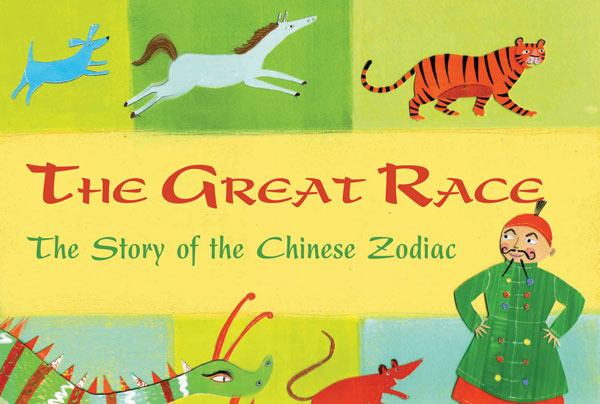 Check out my review of The Great Race: The Story of the Chinese Zodiac courtesy of Barefoot Books. Then check out the links for more great Chinese New Year Posts from my blogging buddies! The Lunar New Year is a two week celebration during which families decorate their homes, visit with relatives, and of course, eat lots of delicious foods. The holiday also marks the changing of the Chinese zodiac calendar. My children love learning about which animal they were, and what characteristics people born in their years are supposed to possess. I’m the mother of a horse and a monkey. But did you ever wonder how the twelve creatures of the Chinese calendar were chosen? The Great Race: The Story of the Chinese Zodiac by Dawn Casey and illustrated by Anne Wilson (Barefoot Books, 2006) is a fun, kid-friendly picture book that explains how the animals were assigned to their years. Big Brother was especially excited when the folks at Barefoot Books sent us a copy, because he remembered that we had checked out a copy of this book from the library a few years ago. The story starts many moon ago, when the people of China had no calendar. My children loved this story, and I have to admit that since my own knowledge of Lunar New Year traditions was a bit thin, reading this book with them was the first time I heard the tale behind the cycle of the Chinese Zodiac. Want to read the full story of The Great Race: The Story of the Chinese Zodiac? You could win a free copy from Barefoot Books. Just go to Facebook, “like” the Barefoot Books page, and come back to HapaMama and leave a comment below saying that you’ve done so. One lucky winner will be picked on January 27! This contest is already closed. Check back for more offers for Chinese New Year! Check more great Year of the Dragon posts from my multicultural blogging buddies. 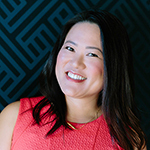 Tech, Food, Life: Happy Chinese New Year! Anastasia‘s Asian Stock at Can It You Nit! Thank you for hosting the Chinese New Year Blog Hop! Nice review, Grace. Thank you for organizing this blog hop. Have a fierce Year of the Dragon! Oh and I like Barefoot Books! Would love to win this. Great post! I’d love to win this book! Thanks for telling us about this book – I hadn’t heard of this one before. I just “liked” Barefoot Books on FB and I’d love to win this book for my little one! Wishing everyone a health, happiness and prosperity in the Year of the Dragon! I, too, am interested in knowing, since I’ve always had a curiosity as to how the Calendar was created. Thank you, Grace! This is one of my top picks for children’s literature dealing with Chinese history and culture! The story is charmingly told in a manner that is convincingly authentic and is a good accompaniment to learning about the Chinese zodiac. This is culturally educational, as well as being a well-written children’s story. I especially enjoyed the illustrations, as their color and texture conveyed a darkness and depth of emotion that is rather unique in children’s literature. I liked Barefoot Books on FB. Would love to win the giveaway. I know Rat came first but not about the others. My kids already know their Chinese zodiac signs and I’d love to share this story with them. Thanks! thanks for reviewing this, i teach children’s yoga and am want to use the story in class. Thanks for sharing all the different posts on Chinese New Year! Gong Xi Fa Tsai! Cool book I liked Barefoot books! Thank you for including my article in your blog hop event! I would love to include the link of this article on my blog post, Happy Lantern Festival.